Above Photo: Tom Williams/CQ Roll Call via AP Images. Hilary O. Shelton, director of the NAACP’s Washington bureau, appears outside the Supreme Court in support of unions as the Court hears arguments in Janus v. AFSCME. Simply put, Petro hated all collective bargaining laws—whether in the public or private sector. Terming it “compulsory bargaining,” he believed collective bargaining undermined freedom. He held this view with a convert’s zeal. 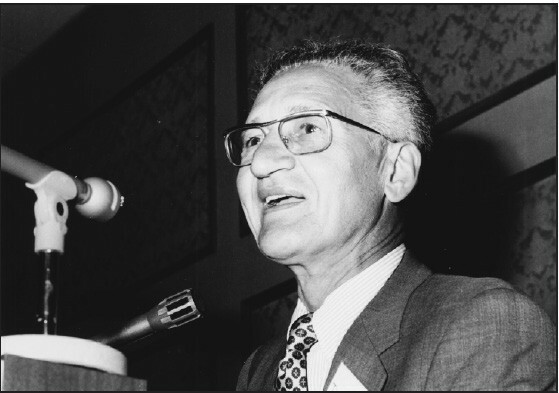 Born in 1917 to an immigrant family, he had supported unions before attaining undergraduate and law degrees at the University of Chicago. But his studies led him to libertarian economists Friedrich Hayek and Ludwig Von Mises, who shaped his worldview. With their support, he inaugurated an ideological war against collective bargaining laws in the 1950s. His first salvo, The Labor Policy of a Free Society(1957), urged repeal of the 1935 Wagner Act on the grounds that it infringed on workers’ rights to be union free. This argument against the collection of Union dues has several defects in logic. Collective bargaining is time consuming, and can be compared to lawyer/client relationship: unless your lawyer is a ‘public employee’ representing an indigent in a criminal case; you can only expect to get what you pay for. The ‘libertarian’ view of subjects are illogical when opened for revue and pander to the Oligarchy giving it complete control when the intelligent approach is abandoned. Unions when void of corruption give their members a collective voice and the power it deserves. In addition, Union dues are “tax deductible” in the same manner as legal fees. Mr. Petro and his supporters only fool themselves and their followers, his departure should represent a matter for such critical reflection and by all evidence; he offered no viable alternative to submission to the Oligarchy that humanity is most often in the habit of forming all throughout history, in every aspect of human interaction. Libertarianism, like conservatism, is a flawed doctrine since it refuses to learn from its mistakes, and as a result is forced to repeat them; which is a fatal flaw.